When Sherlock Holmes moves out of Baker Street, a new tenant moves in a mysterious woman named Elizabeth who has long been a fan of Holmes. When she discovers that Griffin and his uncle are also detectives, she becomes very friendly. So when Elizabeth goes missing along with a special invention, Griffin sets out to rescue her. But finding Elizabeth will take them on a race against the clock that bends time itself! 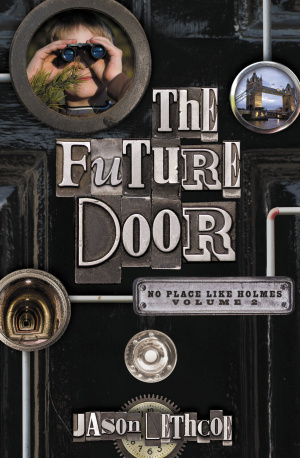 Future Door by Thomas Nelson Publishers was published by Thomas Nelson in December 2011 and is our 17702nd best seller. The ISBN for Future Door is 9781400317301. Be the first to review Future Door! Got a question? No problem! Just click here to ask us about Future Door.